AMD's Scott Herkelman stops by with a shiny new GPU and dishes all things Radeon, plus his view of FreeSync vs. G-Sync. 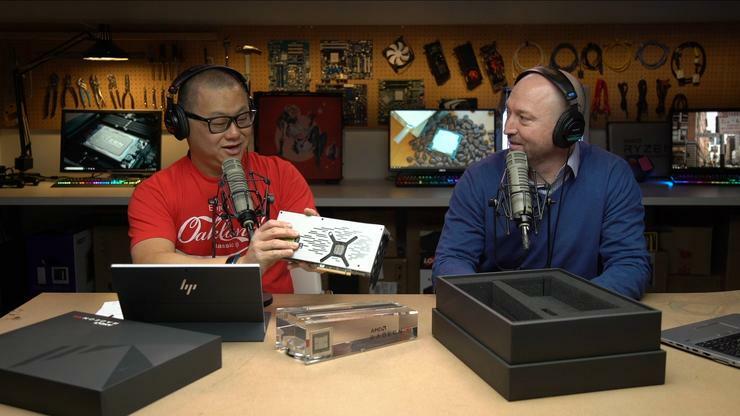 In this special edition of the Full Nerd, AMD's Scott Herkelman stops by to talk all things Radeon VII, including why it doesn't have ray tracing, and why an 8GB version isn't in the cards. Herkelman also dishes on how we may be seeing the VHS vs. Beta death match all over again with variable refresh monitors (Guess which one is FreeSync?). You can witness it all in the video embedded above. You can also watch The Full Nerd Special Edition on YouTube (subscribe to the channel while you’re there!) or listen to it on Soundcloud if you prefer the audio alone.